This a new Social profile widget for Blogger/Wordpress/Website it has nice design and is designed by Metro style interface. 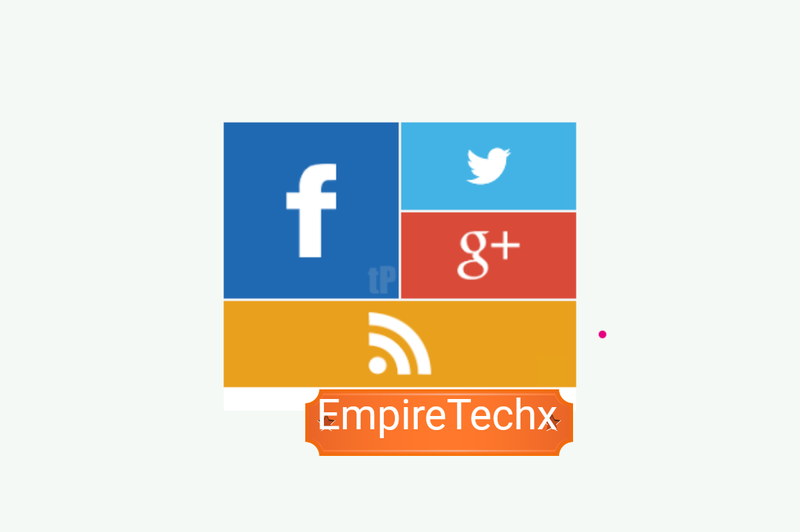 This new Social profile widget designed by Metro style interface is Windows 8 design concept which actually more friendly to tablet Gadgets. This new design is really popular for sure which is best used in the side bar of Blogger/Wordpress where it look pretty much beauty. It's main feature is it's hover effects and elegant design. The installation process of the widget/gadget is easy on Blogger or Wordpress blogs. Note: in the wake of it's installation do not forget to change the highlighted values on colour: Twitter Username, Facebook user/page,Google+ user-id, RSS/Feed burner Feed URL. After the implementation of the code do cross check if the values you changed or added is correct before you save it. How to install the code. Login into your Blog go to Layout and click on it then click edit on the widget you want to input the code and save it. Then preview to see the new effect. Hello there, You've performed a fantastic job. I will definitely digg it and individually suggest to my friends. This great and am impressed to o that you like the tips and writeup, l will always do my best to post more and more thank.